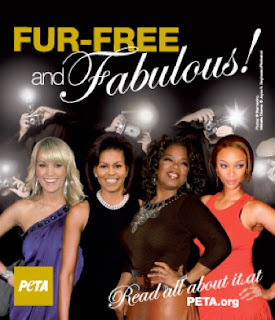 Michelle shows up in a PETA van and an ad touting fur-free--and it wasn't the wax and honey version! Meanwhile BO shows up in Times Square! 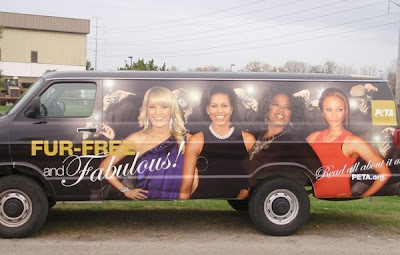 Can't they wait until they get out of the White House before they start shilling? Its only three more years! how big will the friday payroll data be? Talking historically, the economy should have CREATED 2 million jobs at this point in the so called recovery. The numbers are such fiction its laughable anyways. Birth death modeling and especially the small business creation, which is a out and out guess. With the freeze out of credit to small businesses, you can count on that being way optimistic. That some report might finally show a tiny positive is hardly a reason to party. After all, you're only 1,950,000 short of historical recovery jobs. But, if thats all it'll take to achieve happy hour, good for ya. how will this affect gold? You don't need much to keep the party going. Look at another favorite short SHLD up 13--profitability. Remember the short story? They weren't modernizing the stores, no selection, bad real estate locations..